Evidence-Based Practice isn’t about knowing more. It doesn’t matter which health profession you are in. If you are a doctor or a trainer or a health writer, you are all taught to use every tool available to ensure that you’re doing what’s best. But the message you receive is to ignore your experience in favour of ‘the evidence’. You feel like you don’t have the tools to leverage research. You’re led to believe this is a knowledge problem. That’s because you were tested like it’s a knowledge problem. But it’s not a knowledge problem. It’s a skill problem. That’s why you can pass the test, but still believe you’re deficient. The lie you are fed is the story you believe. Getting better at evaluating research means changing the story you believe. Evidence-Based Practice is about doing better. Dealing with the overwhelm is where this journey begins. 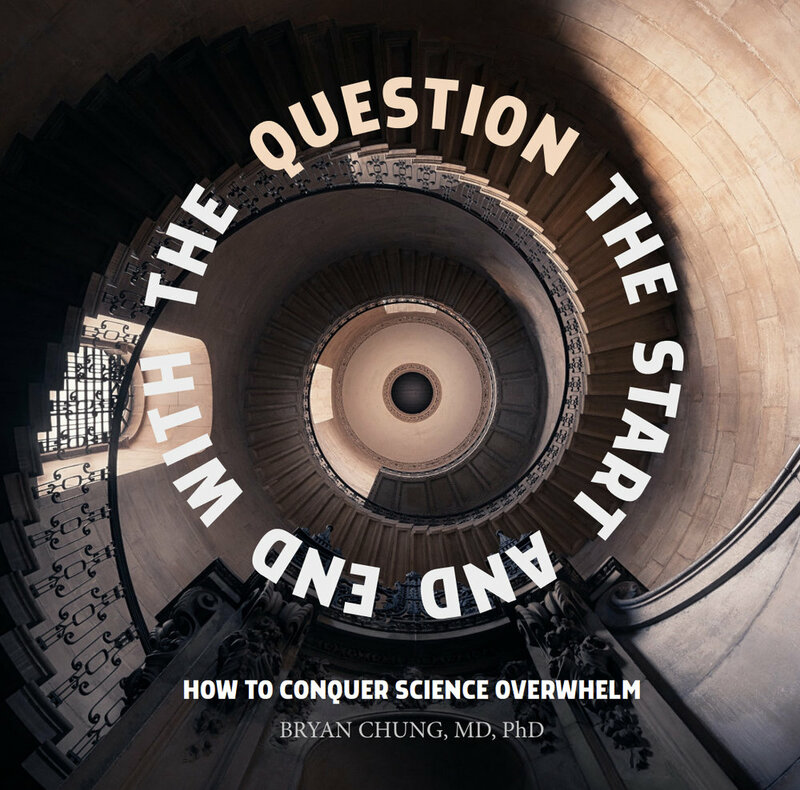 Get a free preview of Question the Start and End with the Question and we’ll notify you when the book is released! When I started my first blog, Evidence-based Fitness in 2007, my goal was to draw attention to how research informs, and misinforms health decisions. After professionally editing complex academic literature for nearly a decade, I knew I could lead by example. I thought by modelling good practice, it would lead to good practice. But that hasn’t happened. Health practitioners still don’t have the analysis skills they want. Health writers still rely on watered-down press releases. Only 17% of you who take a course on research analysis feel confident about it. If you’re a health writer, you don’t even get a course. If we gave traditional teaching methods a test and scored 17/100, that would be a fail. The system isn’t working. It has failed. I was lucky to have mentors who taught me so well, I was editing papers that professors wrote while I was still in school! It’s how I became the youngest editor in a prominent journal’s history. I’ve been a research consultant for Men’s Fitness, Experience Life, and Men’s Health magazines; on the advisory board for Examine.com; and reviewer for the Cochrane Collaboration of Systematic Reviews. The goal is make a hard skill doable by changing the story that you believe about what is doable. A Critical Mass is the amount of material needed to sustain a transformational reaction. Once you hit Critical Mass, the reaction is self-sustaining. Read more on my Medium blog. The Critical Mass Mentorship is an 8-week guided process to transform how you see research in a personalized space with people who share your goals. Admission to the Critical Mass Mentorship is by application only. Get our weekly newsletter! We'll also keep you posted when application are open.